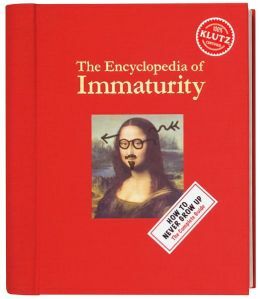 The Encyclopedia of Immaturity by Klutz. I have an aunt who always made an impression on me by her ability to be utterly silly, to make ridiculous jokes, and have fun at everyone’s (including her own) expense. Now that I have my own child, I was both delighted and horrified when she presented him with The Encyclopedia of Immaturity. Brought to you by the editors of the Klutz books, this is the reference books for every child. This book is chock full of pranks, jokes, tricks, and neat little illusions. Need to learn how to pretend to bonk your head loudly on a table? Do the old “removing your thumb” trick? This is the book for you! If you want to get in a lot of trouble, you can try the old “shaving cream in your napping dad’s hand” trick. Or how to explode a paper bag in a most disruptive fashion. Upon receiving this book, my son was at first nonplussed. Little did he know the secrets buried within. rest assured, the “DO NOT ENTER LABORATORY” and “CAUTION NUCLEAR WASTE” signs are plastered on his bedroom door! He’s still working on the subtle art of trickery (he is only six, after all) but it has never stopped him from continuing to trick me! I can’t say I recommend you buy this for your child. But for your nephew, niece, neighbor’s kid, absolutely. Just be sure to look over your shoulder if you find yourself alone with the kid. If you are not a fan of Nick Frost and Simon Pegg, the words “Cornetto Trilogy” will probably mean nothing to you. Which is a shame. These are three fun, ridiculous, hilarious, and action-packed movies that fans of zombies, cops, and satire are sure to enjoy. The first installment, Shaun of the Dead, came out in 2004 and is a brilliantly hilarious zombie apocalypse movie. Three years later, Simon Pegg and Nick Frost released Hot Fuzz about an uptight cop being transferred to a sleepy rural village. Their third installment came out in 2013 and is called The World’s End. Simon Pegg plays Gary King, a washed-out 40-something-year-old who realizes his greatest failure occured on the evening of his and his friends’ failed pub crawl in their hometown of Newton Haven twenty years earlier. Before reaching the last pub in the Golden Mile, The Word’s End, things fell apart. In order to recapture the possibilities lost that evening, Gary goes out and brings everyone back together, albeit reluctantly. Unlike Gary, everyone else has grown up and moved on. But they give in. What nobody expects is that the town of Newton Haven has been overtaken by weird robot look-alikes of everyone they used to know. What to do? Well, naturally they need to finish the pub crawl. No matter what. You can imagine things get pretty hairy and pretty silly from there. This is not the greatest movie in the trilogy; there is great debate over whether that honor belongs to Hot Fuzz or Shaun of the Dead. (There’s no debate for me: it’s clearly Shaun of the Dead.) Nevertheless, this is a fun and action-packed movie that is great to watch on a weekend evening. 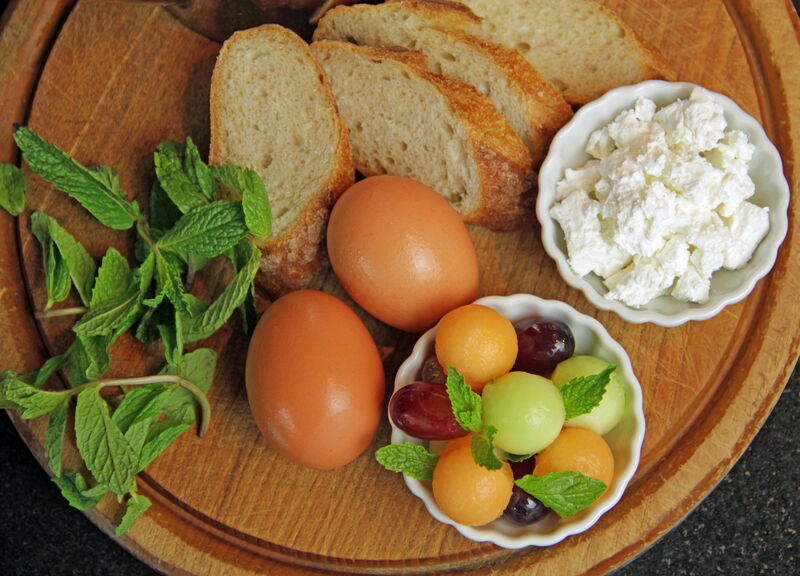 In Iva’s native Albania, this satisfying, savory breakfast is known simply as “bread and eggs”. Well, give this recipe a whirl and you’ll find out it’s anything but simple. 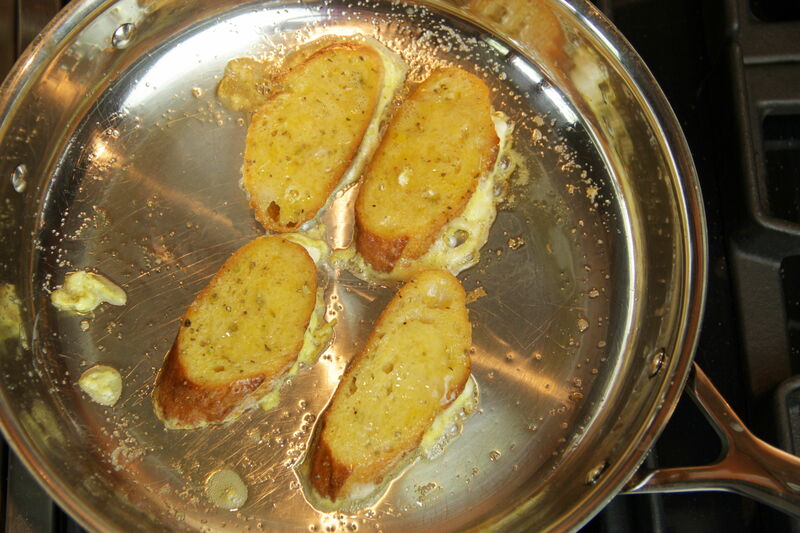 Thick slices of Italian bread or French baguette are cut on a jaunty diagonal, then saturated in pure beaten egg. Iva likes to sometimes add a little zing with some fresh or dried oregano. 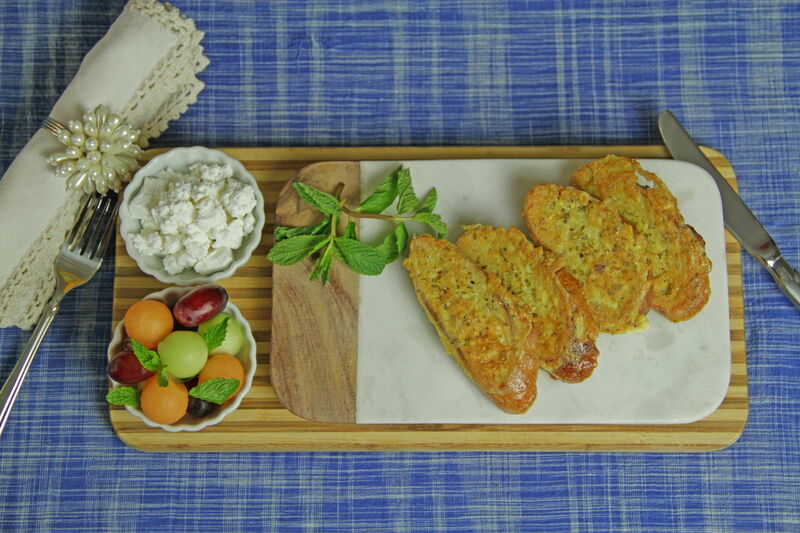 The egg-soaked bread slices are then fried to a golden crisp in rich extra virgin olive oil, and served with a generous scoop of tangy, brined feta cheese. Thank you for the wonderful idea, Iva! 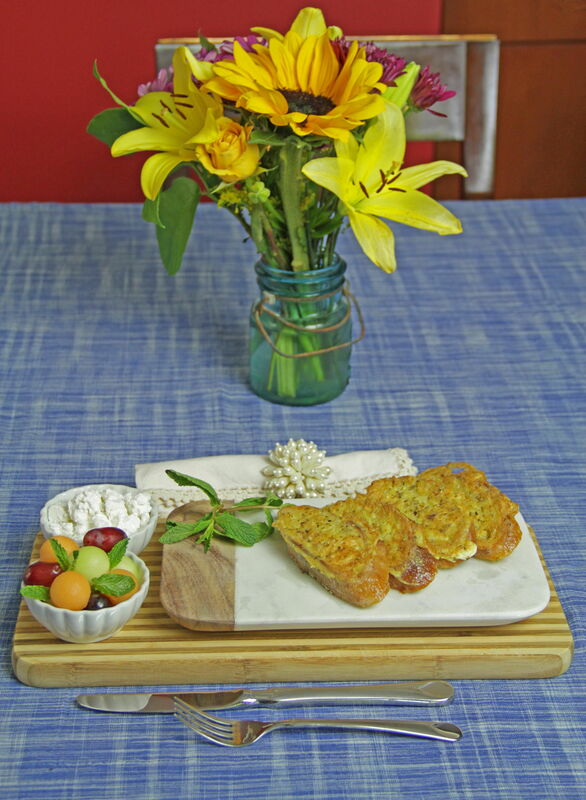 Now I’m off to make myself a savory treat and my first ever Albanian breakfast in bed! In large, shallow dish, whisk eggs until thick. Add salt and mix well. Stir in oregano, if using. 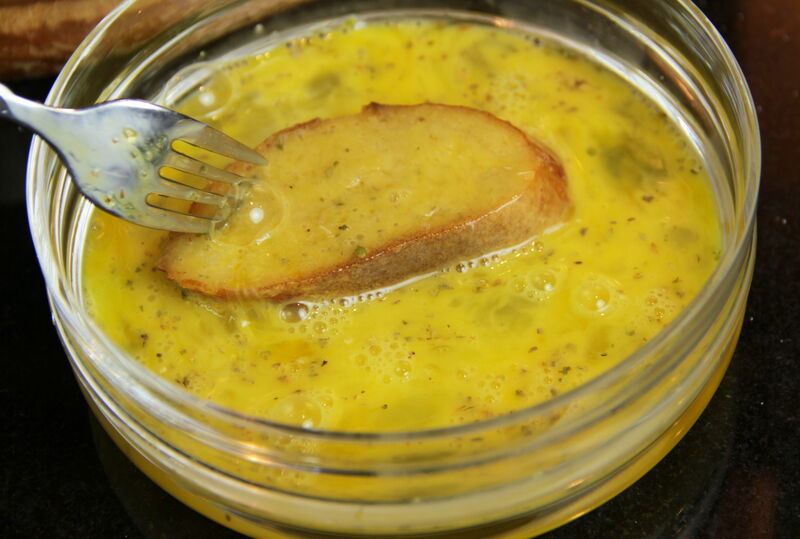 Dip bread slices into the egg mixture, turning once to completely saturate. Don’t over soak or the soft bread will fall apart. Heat 2 tablespoons of olive oil in a heavy skillet. Add bread slices and cook over medium to medium-low heat, turning once, until golden and cooked through, about 5 to 7 minutes. Add more olive oil as needed. Remove from pan and serve warm with feta cheese and melon salad. Wash and chop all fruit. Use a melon baller, if you like, for a nice presentation. Add all fruit to a large bowl. Toss with mint leaves. Drizzle with a bit of honey, if you like. Happy May 11! Today has been “officially” dubbed as Sabriel Day by Garth Nix, author of the wonderful young adult fantasy series. 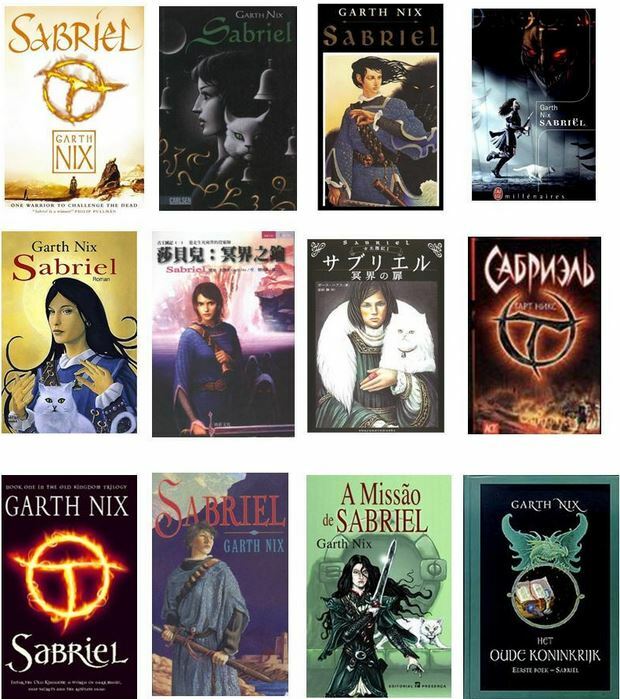 Twenty years ago today, Sabriel was published. I was wrapping up high school. I didn’t discover Sabriel, and the companion books in the trilogy, Lirael and Abhorsen, for many more years but they have stayed with me ever since. I have read the whole series (including his most recent companion, Clariel at least twice, and I’ve also listened to them all on audio, the first three read by the unparalleled Tim Curry! The story of Sabriel is wonderfully unique and yet familiar. She is a young woman, still in school, south of the Wall, where magic has no grip. Her father lives north of the Wall, in the Old Kingdom. He is the Abhorsen, a necromancer whose job is to keep the dead dead and to walk them through past the Ninth Gate into death. You know how it goes. So when Sabriel receives a messenger from Death, carrying her father’s sword and necromancer’s bells, she knows there is trouble. Thus begins her journey learning about herself, about who her father is, and about life in the Old Kingdom where magic and monsters are part of everyday life. This series has topped my list of favorite YA novels since I first picked it up. It’s fantasy that doesn’t feel like fantasy. There are no clearly made up magical names, no elves and goblins, and blessedly, no dragons. I don’t know why, but dragons is where I draw the line. If you’ve never read this series, this, the 20th anniversary, is the perfect time to pick it up. Celebrate Sabriel Day and see what you’ve been missing out on! Natural materials and earth tones create a calming effect in most any space. In bedrooms, we welcome serene elements and colors to encourage relaxation, preparing us for a good night’s sleep or a lazy afternoon nap. These four bedrooms inspire us to go back to basics with neutral colors, rough-hewn woods, and linens and cottons, while also focusing on what lies beyond the windows as much as what’s in the bedroom itself. 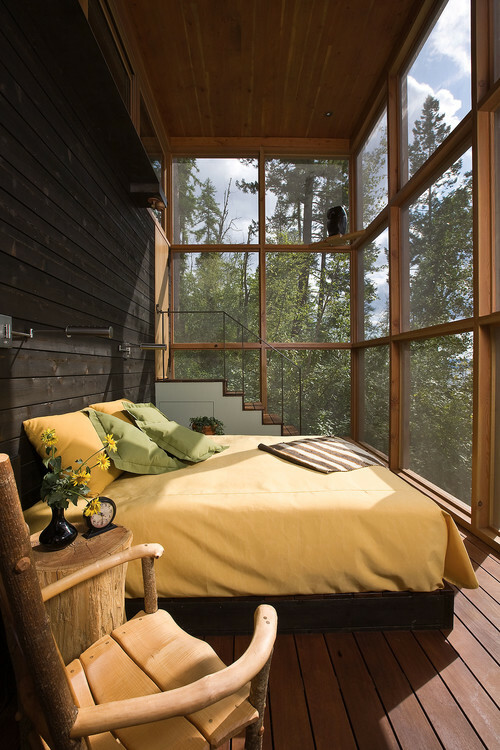 A Big Fork Montana bedroom boasts a lofty tree house feel. Nature surrounds, and the space resembles a screened porch with its wide windows and scenic view. Yellow on the bed seems to be the near-perfect color to contrast the amount of green outside. This room takes on a modern yet rustic aesthetic. 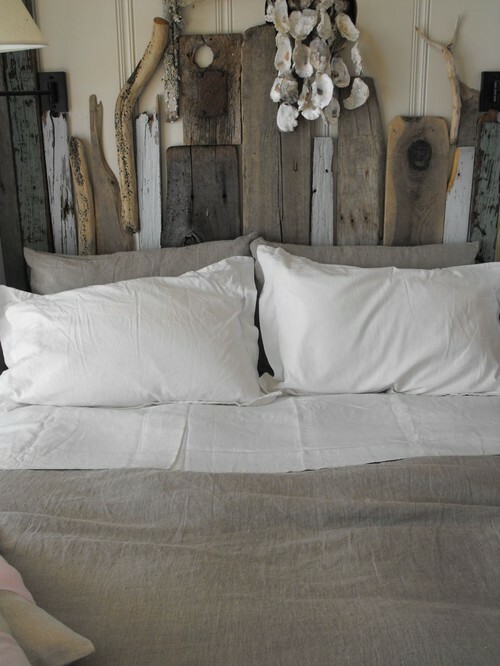 Driftwood attached to the wall, suspended oyster shells, and linen on the bed complete this shabby-chic bedroom. The earthy combination of materials takes us back to nature in the best way possible in this beachy yet primitive room. What an innovative design! 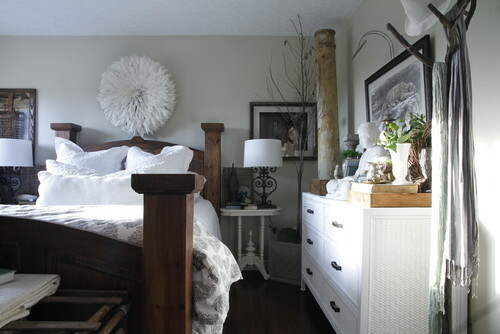 Natural materials are the basis for this eclectic Montreal bedroom. From the pine bed to the metal tableside lamp to the Africa headdress as artwork, this room is not only earthy but also interesting. With so much to look at, this space proves that neutral colors never need be boring. Zen-like with a mid-century, Japanese design, this bedroom sports an unusually low bed with an asymmetrical bed wall. Somehow, all of the components work well together, including the garden stool as an accent piece. This home is located in Orange County, CA, which is no surprise to me. I feel relaxed just looking at the photo.